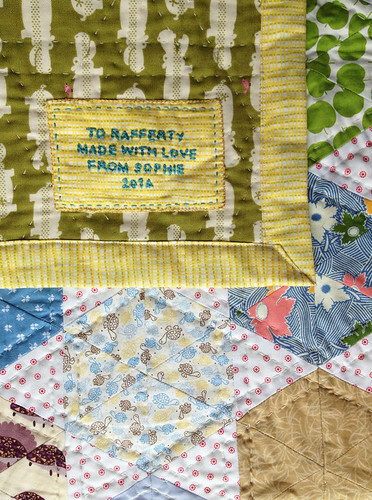 I was asked to be a Godmother, so I thought it would be fitting to make my Godson Rafferty a quilt (or a sheety, as it’s know in Polly and Tom’s, Raffi’s Mum and Dad, house!). Polly gave me a lot of fabric as she’d been gifted some by her sister. 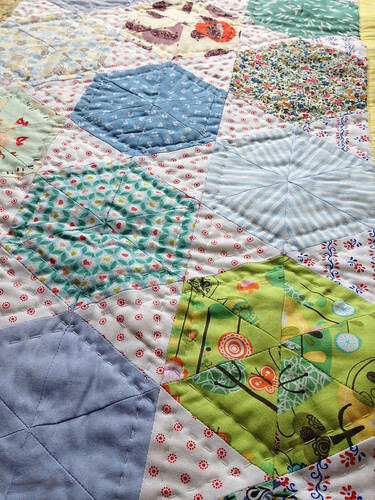 As a personal touch, the quilt includes some of Tom’s shirts. 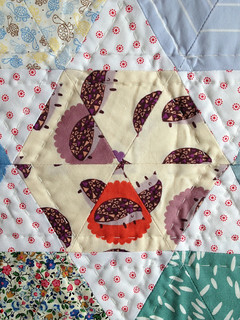 I have also included some of my own that are in my own triangle quilt. I looked for a pattern for a while and after a few false starts finally settled on this one. 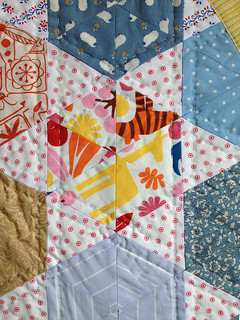 It’s made up of triangles, which are my favourite at the moment, and has a hexagons, similar to his older brothers quilt. 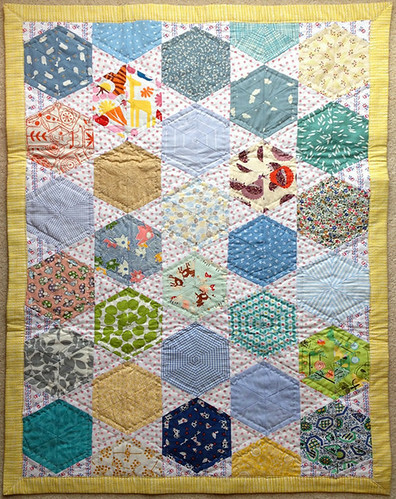 I have quilted it all by hand and finished the border on the machine, to make it more secure. I’m hoping that it will be well loved and used all the time. 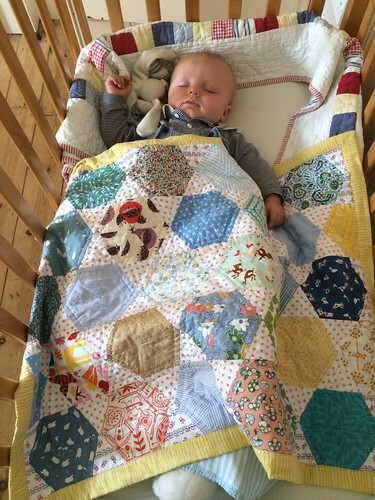 And here’s the lovely boy himself having a snooze! Big thanks to Polly for sending this picture to me yesterday and allowing me to publish it.